U.S. stocks bounced back in May, led by many of the technology and momentum names at the heart of the spring slump. While there were many winners this month (sorry Whole Foods (WFM) -- you definitely didn't make the cut), check out the rankings of the five hottest companies in the S&P 500 in May. 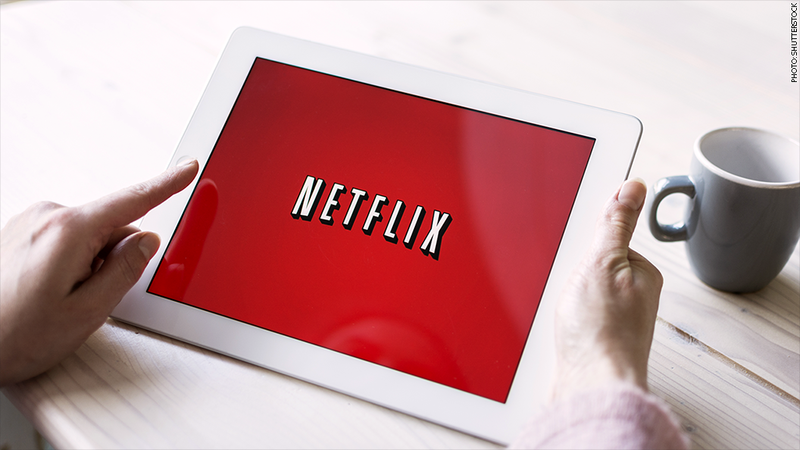 Netflix (NFLX) was hammered by the risk aversion on Wall Street in recent months. The streaming movie rental service saw its shares slump 26% in March and April. But investors quickly realized that lovers of "Breaking Bad" and "House of Cards" aren't abandoning Netflix any time soon. Shares spiked 30% in May, making it easily the best performer in both the S&P 500 and Nasdaq 100. Netflix also announced a price increase for new members and plans to expand services to six more European countries: France, Germany, Austria, Switzerland, Belgium and Luxembourg. 2. Electronic Arts: The World Cup effect? 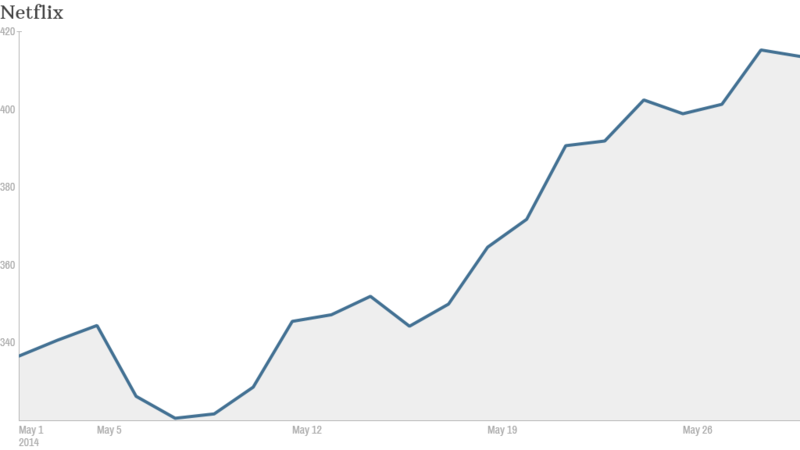 The second hottest S&P 500 stock this month can trace its sparkling performance to a single day: May 6. That was the day Electronic Arts (EA) blew Wall Street's socks off with earnings that crushed expectations. Buoyed by sales of games for PlayStation 4 and Xbox One, the video game maker also sounded a very positive tone for the rest of the year and unleashed a $750 million stock buyback. The company, known as EA, also highlighted how strong its sports titles are, especially the blockbuster FIFA game ahead of this summer's World Cup. EA is one of the few non-apparel companies to serve as a major sponsor of top soccer stars. Other video game makers have also enjoyed success this year, including France's Ubisoft (UBSFF), Activision Blizzard (ATVI) and Take-Two Interactive (TTWO). After EA's 23% surge in May, the company has spiked 52% so far this year, good for No. 3 in the S&P 500 in 2014. It's been a wild ride this year for investors of the company formerly known as Green Mountain Coffee Roasters. Keurig Green Mountain (GMCR) spiked 36% in February after Coca-Cola (KO) acquired a 10% stake in the company for $1.25 billion. But the coffee maker slumped 11% in April and continued to face skepticism from short sellers like hedge fund giant David Einhorn. Coke came to the rescue once again, announcing plans on May 13 to boost its stake to 16%, adding more than $1 billion more. Green Mountain also impressed Wall Street wtih a 22% jump in profits. The final result for Green Mountain is a heavily caffeinated 21% return for the month. The online travel site finished April a hefty 26% below its all-time high, which was just the month before. But TripAdviso (TRIP)didn't stay home and pout. The company unveiled a flurry of acquisitions during the month, including European restaurant service Lafourchette, travel guide site Tripbod and Vacation Home Rentals. TripAdvisor also pleased investors by posting bullish results on May 6 that revealed a 22% jump in revenue and a 44% boost to traffic. The stock is up 20% in May. SanDisk (SNDK), which makes flash memory, benefited from an overall rebound in tech stocks this month. The company ended May with a 13.7% rally, narrowly besting Tiffany (TIF) for the No. 5 spot amongst S&P 500 stocks. SanDisk pleased investors by hiking its quarterly dividend by 33% on May 7 after posting a 62% jump in earnings in April. Honorable mention: Tiffany soared 13.6% during May and was easily the month's best performing retailer in the S&P 500. The company has sparkle, but not quite enough for the top 5. Correction: An earlier version of this article incorrectly reported that investor Carl Icahn increased his stake in Netflix during the month.